Our car locksmiths can offer you the services of emergency lockout openings, removing broken keys, and also make new car keys for your car, no matter what year and model you own. Our car locksmiths can also make a chip key or VAT key for you, and even offer high security key manufacturing. Our car locksmith will have the appropriate bonds and licenses before you hire him or her to do any work for you. 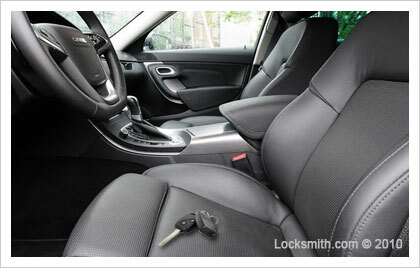 Our car locksmiths may also be contracted to install new locks on cars at car dealers. If you have lost a key and need a new one made, our car locksmith can make one for you. In the event that you car key breaks off in the ignition, our car locksmiths can extract the remaining broken key using special tools. Our car locksmith can also help unfreeze your car lock if you car has been outside during an exceptionally cold winter season. In some cases a car lock unfreeze solution can be applied directly into the lock itself so your key can be inserted. Our car locksmiths can also open your car trunk if it does not open with the key you have. If some part of the trunk is broken, it can be opened without any damage being done to it. Our car locksmiths will be dependable and complete a locksmith job for you on time without any delays. Our car locksmiths will provide you with high quality service, and will also be able to do a job ASAP when you need it done. Our car locksmith job will always be done to your satisfaction.